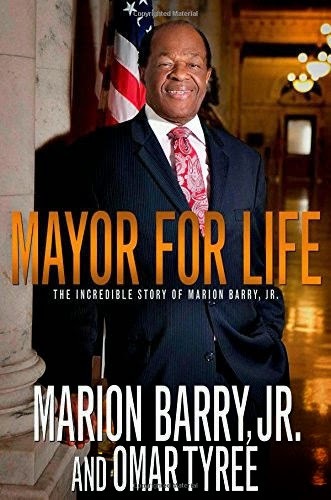 Marion Barry will forever be remembered as the disgraced Mayor of Washington, D.C. The images of him taken during an FBI sting will long outlive anything else about the man. And that’s a shame, because before the fall came Marion Barry was one of the people manning the front lines in the battle for Civil Right. Born in Itta Bena, Mississippi he was one of 10 kids. His father died when he was 4 years old and his Mom moved the family to Memphis, Tennessee looking for work. It was as a paperboy that he first encountered racial prejudice, and the incident became a defining point in his life. As a young man he picked cotton, bagged groceries, and worked as a waiter. He was also a Boy Scout, earning the ultimate rank of Eagle Scout. It was while working as a paperboy that he first became involved in a Civil Rights issue. He had entered the contest to win a trip New Orleans for getting a certain number of new customers on a route. He won, but was denied the prize on the grounds that New Orleans was segregated and it would necessitate the rental of a separate bus to transport the African-American paperboys who had won. The young Marion Barry boycotted his route in the black neighborhood, and convinced the other African-American carriers to do the same. The result was that the paper hired a bus and took them to St. Louis, which was integrated. Barry resumed his route. Remember that this was before Rosa Parks and the bus boycott. BY the late 1950’s he was a graduate of LeMoyne College. While there he and his friends wanted to go to the fair in Memphis; which was segregated. They were denied admission to the Science exhibit. Though they left without incident this is what prompted Barry to join the NAACP and begin his long road as an activist for Civil Rights and the Right to Vote. He also attained a Master’s degree in Organic Chemistry from Fisk in 1960. During this time he was arrested several times for his involvement in sit-ins and other demonstrations. He was soon involved in the Freedom Riders campaign to desegregate the bus stations in Interstate travel. After a long and protracted battle they were successful. Their accomplishment in getting the Voting Rights Act passed is something which is currently under fire as some folks advocate its repeal. He went on to become the first chairman of the Student Nonviolent Coordinating Committee and organized the voting registration drive in McComb, Mississippi. He lived with the local residents so he would have a better feel for what their lives were like. In 1965 he came to Washington, D.C. to open a local chapter for SNCC. The bus fare increase was his first political action in D.C. He wouldn’t call it a “boycott” - he termed it a “mancott” instead. This was really the first step in his journey to becoming the second Mayor in the city’s history. He quit SNCC when H. Rapp Brown became chairman in 1967. I could go on and on in summarizing the accomplishments and career of this ultimately flawed politician. But I would be remiss if I were to only concentrate on the failures of his later life. His work in the aftermath of the shooting of Martin Luther King, when D.C. was literally in flames, helped to set up food banks and early education programs for the poor. His positive impacts cannot be overlooked when assessing the man as a whole. His slide down the slippery slope of drug addiction; and recovery; as well as his re-emergence as a politician again after the fall; will ultimately be what this man is remembered for. And that’s a shame. For the legacy he amassed prior to that is far more important. Labels: Civil Rights, Corruption, FBI Sting, Itta Bena Mississippi, Marion Barry, Mayor, Political Comebacks, Undercover, Voting Rights Act, Washington D.C.